Spring Festival transportation started on January 21st, 2019. Ameco strictly implement the overall requirements of Air China on Spring Festival transportation, fully conducted the relevant preparation. 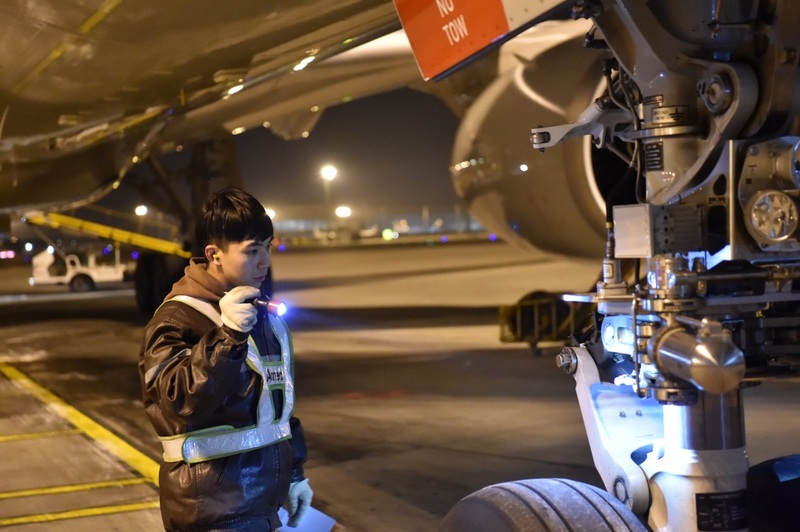 On January 10th, Ameco officially launched the 2019 Spring Festival transportation guarantee work, and set up a leading group and the guarantee group for flight operation during Spring Festival, which is responsible for guaranteeing the Spring Festival transportation during flight production operation command, coordination of overall guarantee resources and emergency disposal work to carry out flight guarantee work according to flight production operation. Ameco had comprehensive travel protection programs in combination with the practical situation of the work and the characteristics of the usual travel support. On the support front, Ameco support units analyzed Spring Festival transportation situation in 2019, carry out the theme of safety education, and strengthen the manual safety consciousness, responsibility consciousness and rules consciousness. Strictly implement the safety inspection system, develop the safety and quality management personnel. Well conduct relevant key terminal anti-icing support and after-flight check in cold region, as well as release flight in strict accordance with the standard. In terms of production organization, Ameco support units analyzed transportation flight capability for this year's Spring Festival transportation to ensure the aircraft capability meet the requirements of flight production, seriously sort out fleet technology condition, improve the reliability of equipment, guarantee the aircraft with good technical state. According to the operation characteristics of 2019, conduct preparation for the operation of new aircraft, and new airline risk, make analysis for winter problems, and formulate corresponding improvement measures, to guarantee the smooth operation of Spring Festival transportation.